Mass Lung & Allergy, PC is dedicated to serving the needs of the people of Central Massachusetts with quality and compassionate medical care. 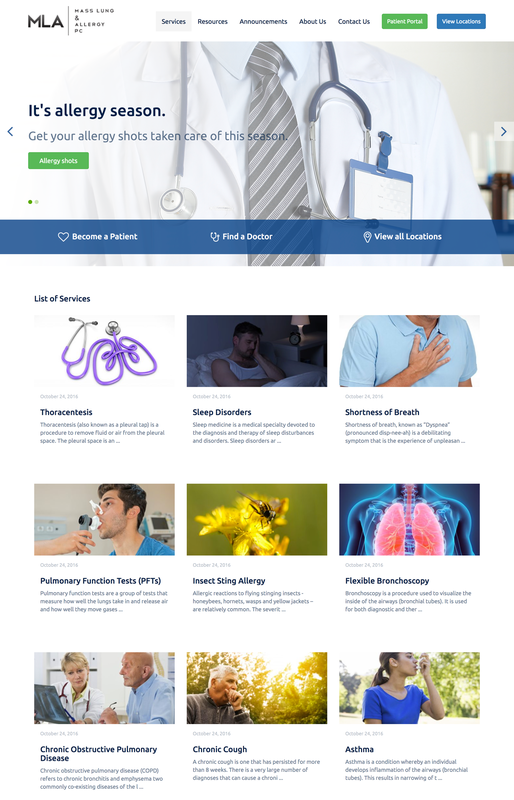 Mass Lung & Allergy provides comprehensive treatment, ranging from pulmonary medicine, the diagnosis and treatment of lung diseases, to allergy and sleep medicine. 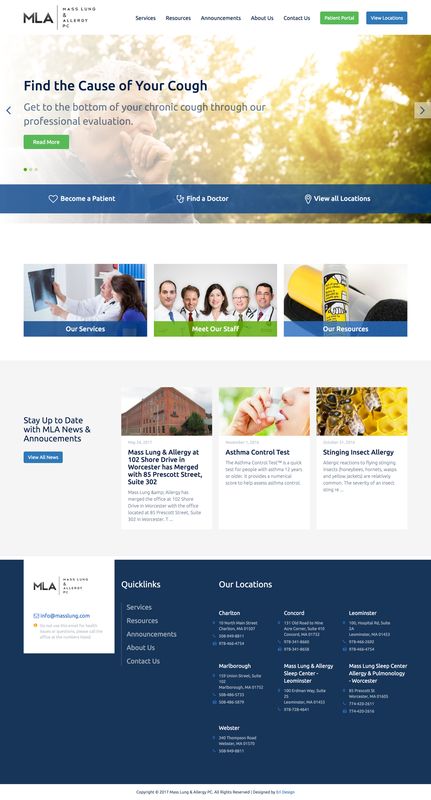 We worked with Mass Lung & Allergy to modernize their aesthetic and neatly present their staff and services. 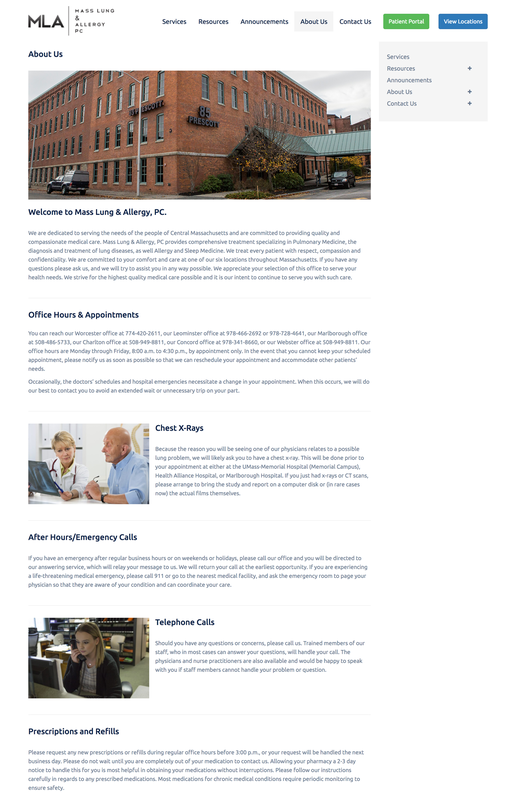 Since Mass Lung & Allergy specializes in a wide range of treatments, we made their services page visual, engaging, and easily accessible. 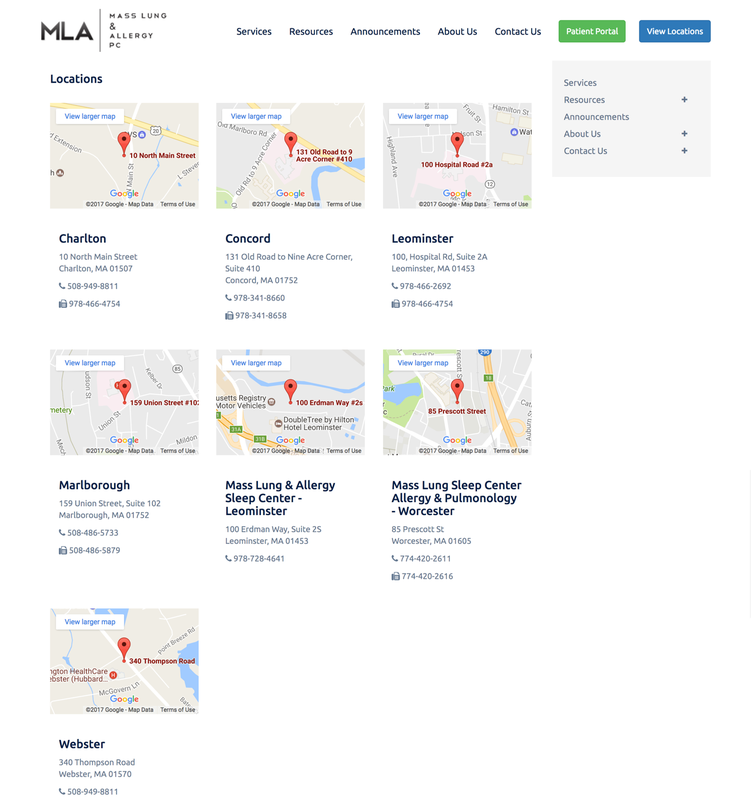 To make it simple for patients to find doctors, users can view Mass Lung’s locations and staff straight from the homepage. 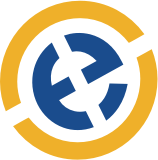 With a modern look and a clean information architecture, their new site shines.